Show Jumper Cian O’Connor was stripped of his gold medal at the 2004 Athens Olympics. O’Connor didn’t do the jumping himself. The Irishman is an equestrian, who rode a horse named Waterford Crystal. In competition horses also get tested for illegal drugs, and at the Athens Games, traces of various anti-psychotic and pain relieving drugs were found in Waterford Crystal. So yes, Jane Fonda, they do shoot (up) horses. Apparently, anti-pscyhotic drugs like fluphenazine are commonly used to calm horses, particularly in cases when horses have been injured and completed treatment, but won’t stay calm and allow their wounds to heal. Another drug like reserpine acts as a long-lasting sedative, which is likely prescribed for similar reasons as fluphenzine. They were likely in Waterford Crystal in order to calm this excitable horse and thus give the rider a more stable mount in competition. Clearly the horse has no say in the matter. The team around the horse, including the rider and the trainer, are held accountable for what goes in the body of the horse. About a year after the Athens Olympics, O’Connor had to return his gold medal, and Rodrigo Pessoa of Brazil became the new showjumping king, trading his silver for gold. Chris Kappler of America got to trade his bronze for silver, and suddenly, Marco Kutscher of Germany was awarded a bronze medal. Four years later in Beijing, a horse named Camiro was found to have the illegal pain killer, capsaicin, in her system. Camiro was the horse of rider Tony Andre Hansen, who was one of four members of the Norwegian jumping team. Camiro apparently failed the first of two drug tests so Hansen was not allowed to compete in the individual jumping event, but was allowed to compete in the team event, at which Norway took the bronze medal. 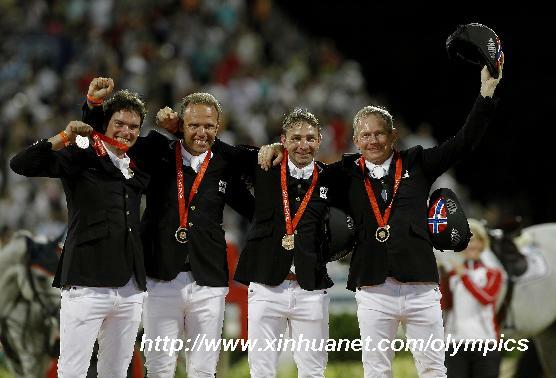 The Norwegian team stood on the medal podium and sank in the cheers and congratulations. Ten days later, after the Beijing Games had completed, Camiro failed a second test. With Hansen’s horse now DQ’ed, the Norwegian team dropped from third to tenth in the point totals. The four members of Team Switzerland were suddenly bronze medalists. As for Cian O’Connor, eight years later at the 2012 Olympics, he was able to ride a horse named Blue Loyd 12 to the medal podium, taking the bronze medal in the London Games. Koji Murofushi of Japan is not only an Olympian, he’s an alchemist. In his career, he’s turned silver into gold and made bronze appear and disappear. In 2004, Murofushi was dueling it out with fellow hammer thrower, Adrián Annus of Hungary. Murofushi, though, must have been a bit frustrated because for every mighty throw he made, Annus would throw one slightly further. And in the third of six throws in the finals of the hammer throw, Annus tossed the hammer 83.19 meters, which Murofushi simply could not match. His final throw of the event went 82.91 meters, well beyond every other competitor, except for Annus. 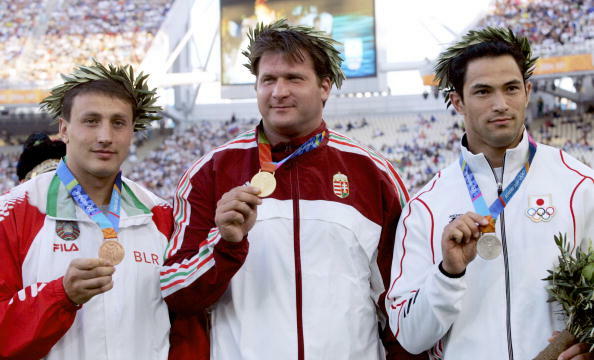 Thus, on August 22, 2004, the Hungarian took the gold in the hammer throw, and the Japanese the silver. Only a few days after Murofushi stood listening to the Hungarian national anthem on the winner’s podium, he heard the news: Annus would be stripped of his gold medal. As it turned out, the urine samples Annus submitted to authorities before and after the hammer throw competition appeared to be from two different people, neither of them chemically linked to Annus. 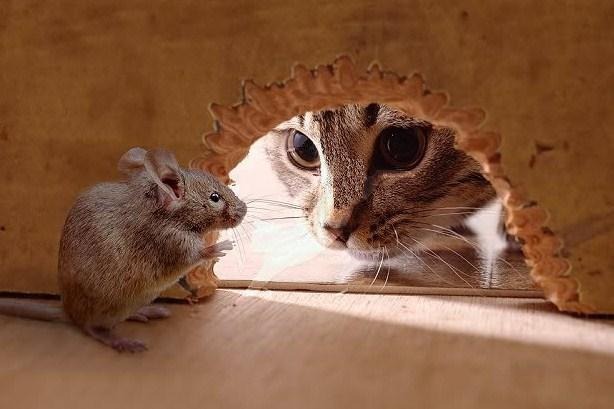 He was then asked to submit to a urine test after his return to Hungary, but Annus never showed up for the test. Annus was then ordered to return his gold medal so that it could be handed to Murofushi. It took a while, but several months later, under pressure of the IOC and the constant media attention, Annus relented and relinquished his Olympic title. Murofushi’s silver turned to gold, and he is now the hammer throw champion of the 2004 Athens Olympics. 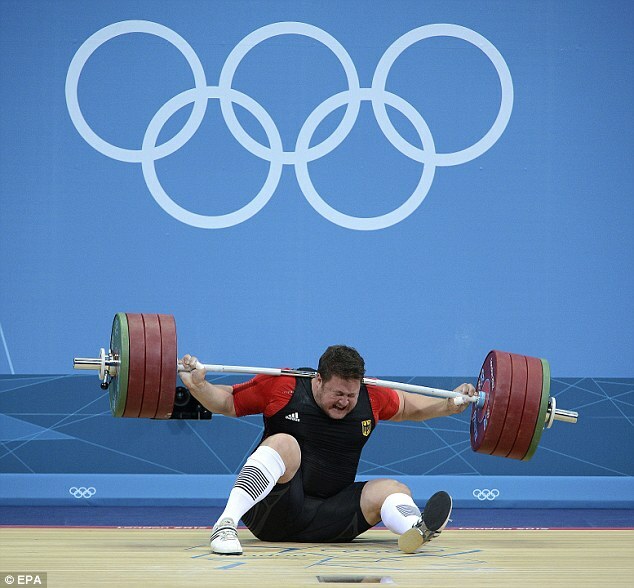 In 2008, at the Beijing Olympics, Slovenian hammer thrower, Primož Kozmus, won almost every one of the six rounds. He threw 82.02 meters four of those five times, which must have been a bit frustrating, but that mark was still good enough to best all other finalists. Murofushi could not repeat his gold-medal winning distance of 82.91 meters in Athens, his best throw of 80.71 landing him in fifth and thus medal-less. But in the months after the Beijing Olympics, the IOC began reviewing the test results of the 2008 Olympians and concluded that Vadim Devyatovskiy and Ivan Tsikhan of Belarus had tested positive for abnormal levels of testosterone after the hammer throw competition. (Tsikhan had already been stripped of his bronze medal at the 2004 Athens Olympics.) In December of 2008, the IOC ordered that the Belarusians be stripped of their respective silver and bronze medals, and that the fourth and fifth place finishers receive those medals. As Murofushi finished fifth, he was belatedly awarded the bronze medal, becoming only the third Japanese to win medals in consecutive Olympic Games. In the meanwhile, the Belarusians did not take their ignominy sitting down. They appealed the ruling, taking their case to the Swiss-based Court of Arbitration for Sport, the international body that settles disputes related to the Olympics. And in June of 2010, the court upheld the appeal from the Belarusians. Apparently, the court uncovered irregularities in the way the urine samples were handled, thus making it difficult to determine with conviction that doping had taken place. As a result, their silver and bronze medals were restored to them, and Murofushi dropped back down to fifth. He was not to receive a medal for his results in Beijing. Maybe it was. Murofushi, at the age of 37, took bronze in the hammer throw at the 2012 London Olympics.